Ali`i Beach Park is one of the most well known and world class surf breaks on the North Shore. A beach park popular with locals and visitors alike, you may find the world's top professional surfers competing here during the winter, and/or local elementary school children playing after school soccer in the fields. To the left of the can't miss surf center at Ali`i is a lesser known (which makes it even better) turtle beach. Each day, roughly from mid afternoon till dark green sea turtles gather here up on the sand and enjoy relaxing in the sun. Ali`i, meaning royalty in Hawaiian, is a great place for a day at the beach or a quick stop to watch a few waves or turtles. The Haleiwa Arts Festival is a late summer annual festival where all art locally made can be found on one piece of property at the Haleiwa Park. Shell jewelry, paintings, drawing, music, clothing, and of course, wonderful food can be found here. Attendees come from all over the island, and locals look forward to it and help plan it year long. Some of the most unique creations the eyes will ever see decorate booths, and residents and old friends socialize and catch up. The arts festival is definitely a definitive activity for Haleiwa. Cholo's Mexican Restaurant is a popular eatery. On any given night you may find it packed with locals and visitors enjoying their famous margaritas. Also nearby is Luibueno's. Known as Lui's, it's a little more upscale eatery and serves a broader menu and offers a more stylish atmosphere. Either way, both places are likely to be busy on any night of the weak, and you really can't go wrong with either. Cholo's is known for their margaritas while Lui's in known for their fresh local fish. Matsumoto's Shave Ice is Haleiwa's claim to fame. Everyday, a long line is seen coming out of the shop's door often weaving its way down the street. Sound like too much trouble for a shaved ice? It's not. Matsumoto's is known for its finely shaved ice, unique and large array of tropical flavors, and big portions. Join the fun and try a shave ice. You won't find another as good around. To shop in Haleiwa is to shop in an abundance of unique boutiques often offering locally made or designed products. 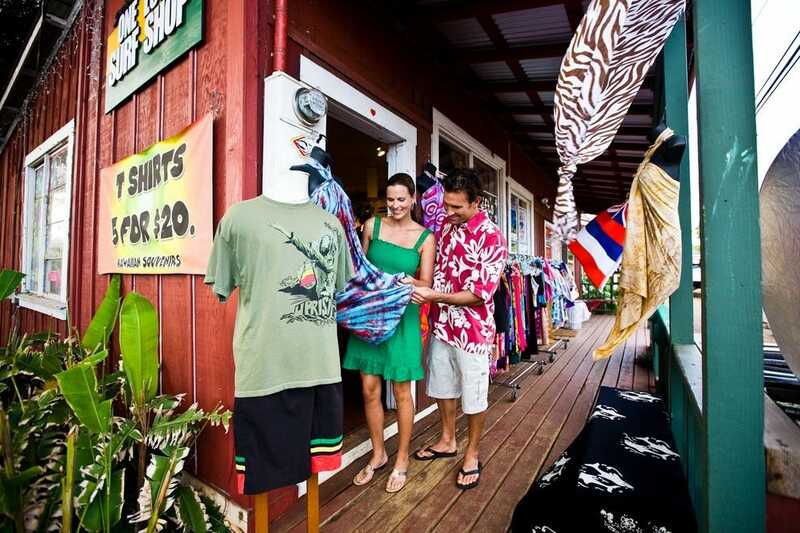 From soap, to clothing, to surfboards and swimwear, Haleiwa has a wide array of shopping to explore. 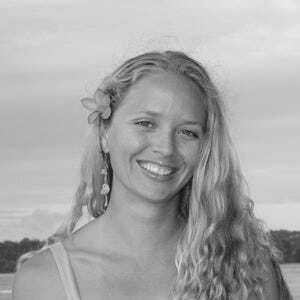 Stylish women's wear is all over Haleiwa, while imported and locally made island style goods and house decor can be found town wide. Surf shops also dot the town, providing a seemingly endless array of surf gear, clothing, surf boards, and just about anything a person could need to get in the ocean.